BALLCENTER HANDELSGESELLSCHAFT MBH & CO. KG, Rulmenti cu bile, Ball bearing cages, baubles, pe EUROPAGES. 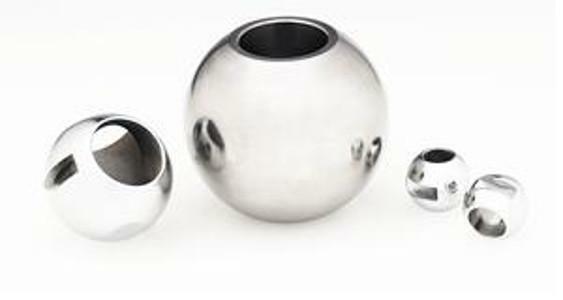 ballcenter Handelsgesellschaft mbH & Co. KG arose from the traditional precision ball manufacturer, KGM Kugelfabrik GmbH & Co. KG. The renowned manufacturer of precision balls based in Fulda, Germany can look back on more than 100 years of company success. ballcenter Handelsgesellschaft mbH was founded as an independent subsidiary with the aim of expanding sales of balls and associated services to supplementary and new areas of application all around the globe. Our modern business focuses on quickly supplying customers with deliveries of all sizes and simple order processing. Our customers benefit from close collaboration between the two companies. This gives ballcenter Handelsgesellschaft mbH the opportunity to offer services such as advice, machining and component assembly in addition to our main business.